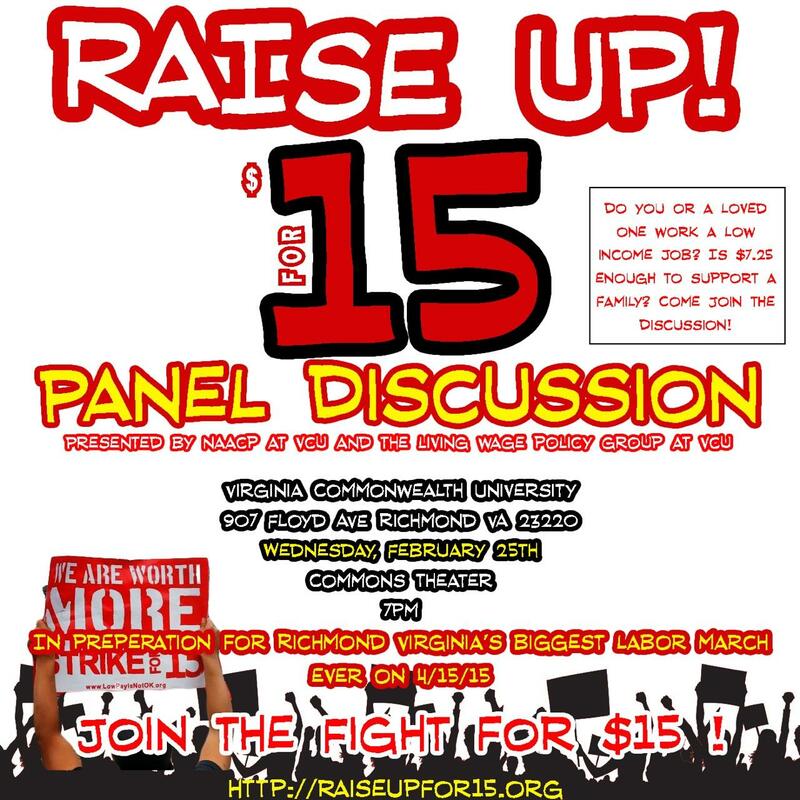 No Wingnut dinner this week, instead come to this event at VCU!!! At 7:00 a.m. a group of over 50 activists blocked vehicle access to Dominion Resources’ Tredegar Campus in Richmond, Virginia to protest the proposed Atlantic Coast Pipeline. Traffic quickly formed on Tredegar Street as activists stretched large banners across the road and paraded large puppets around the scene. Two activists remain suspended from a pedestrian bridge with a banner reading “Stop Selling Our Futures” while a larger crowd occupy the access way to the campus below. The Atlantic Coast Pipeline would transport natural gas from West Virginia, where there is a boom in hydraulic fracturing, 550 miles, through Virginia, and into North Carolina. “This proposal would be a dangerous investment in fossil fuel infrastructure at a time when the scientific consensus is clear that we must invest in renewables, such as wind and solar, to avoid further warming of our planet. ” said Whitney Whiting from Newport News, Virginia. This action follows several months of grassroots resistance in the region against Dominion. On February 3, an activist scaled a crane at a construction site for Dominion’s proposed Cove Point LNG export facilities in Lusby, Maryland. On February 9, activists with the group Beyond Extreme Energy staged a disruption at a Dominion analyst meeting in New York City’s Waldorf Astoria Hotel, also with the message “Stop Selling Our Futures”. Tonight’s Egalitarian Community Event may be cancelled due to snow! UPDATE: tonight’s event is likely to be rescheduled due to the snow which is being called for. Will say for sure by 3 this afternoon. Sorry! Here is the original description and hopefully if we need to reschedule more folks will be able to come out next time! If you missed the amazing presentation at the Wingnut last night you can listen to this audio version. Thanks again to GPaul and Paxus as well as all the folks from Acorn and Twin Oaks who brought food and knowledge to share. We are having our next meeting on the subject on February 16 at 6:30 pm and it will be a potluck. We are currently looking for people interested in joining/forming an egalitarian community in Richmond using the Wingnut house as a starting point, but with the hope of expanding to include multiple residences and properties. At the February meeting we will be talking about what an egalitarian community with the Wingnut in Richmond might look like. This is part of an ongoing series of educational, explorational, and conversational events we are hosting throughout 2015 in our attempts to form this organization and begin living an egalitarian lifestyle. Please come out to talk, network, share ideas, ask questions, and collaborate. We have some upcoming events we would like you to know about. Please note that not all of these events are planned by JRVA but we are still asking for you to support them. Take this opportunity to learn about the ACP, how it will effect you, network and meet others who are working to resist this pipeline & what you can do to help stop it! Black Action Now Event – Black Trans Lives Matter Rally! This rally is to bring awareness to the violence suffered by the Black trans community. Just in 2015 alone, two Black transwomen have been brutally murdered. Lamia Beard, 30 years old of Norfolk, VA, on January 17th & Ty Underwood, 24 years old of Austin, Texas on January 26th. There is a prevalence and distinction of the gruesome violence that has been perpetuated against the trans community, but specifically against Black trans individuals. In order to bring attention to the violence committed against Black trans folx, we need to make people aware of all the Black lives affected by systemic oppression. That includes fighting for Black Trans Lives. Let’s take a stand against transphobia, transmisogyny, anti-Blackness, and racism together and honor those who have been murdered or suffered due to these forms of violence. Bring signs, banners, energy, and support! We will be meeting at Monroe Park at 8PM! If you have any additional questions, comments, or concerns, please contact Ashleigh Shackelford [shackelforan@vcu.edu] or Shay Patrick [patricksn@vcu.edu]. Co-sponsored by JRVA: In the spirit of Love, Justice, and stewardship of our Earth, Richmond People’s Climate March are calling for leaders of our local faith communities to join us to sound the alarm on climate change and pray for the wisdom of our elected officials as they finalize legislation during the 2015 session of the General Assembly. This is the moral challenge of our generation and we ask you as people of faith to join us to turn the tide for Virginia. This will be a breath taking ceremony during the sunrise featuring multicultural music, ceremonies and dance. We need to join our African-American and Indigenous brothers and sisters to resist the impacts of climate change! Please join us in Joyous Resistance! Please join us and the rest of the MSA members in an enlightening ROOTs session on Monday, February 24th, 2015, led by Br. Jesse Hudsonn. Br. Jesse will speak on the grave and present issue of racisim and Islam’s response to it, and present what we as a Muslim Ummah can do to resolve this social injustice. The session will be in the VA Rooms of the Student Commons. Come out, bring your friends! Join Urban AWAREness Inc., Sanctuary VA, Justice RVA and All As One The Universal Movement to CELEBRATE BLACK HISTORY MONTH!!! We are hosting a Shockoe Bottom History Tour starting at 1p and 3p at Main Street Station 1500 East Main Street. We will be visiting historic locations in celebration of Black History month and the struggle to reclaim the Shockoe historic district and turn it into a designated park/cultural center.Tour Richmond’s historic slave trading district and learn about the fight to reclaim this space. Make connections between slavery, the Jim Crow era and the New Jim Crow of Mass Incarceration. Tours begin at 1pm and 3pm. Then, join us at 212 West Broad Street at 5p for a Potluck Dinner and 6p for a Talent Show.Join us in celebration of our skills and talents in dance, spoken word, poetry and more! Family-friendly event! Suggested donation $5 goes to benefit current and former inmates and community orgs. Justice RVA is a multi-cultural group based in Richmond, VA struggling towards collective liberation, with a focus on ending policing, mass incarceration, and other institutionalized oppressions using an intersectional approach. We take objection to the “Police and Peeps Community Conversation” taking place on Tuesday, February 10th and recognize it as an empty gesture from public officials, set up specifically by Richmond police and select individuals–not the greater Richmond community. 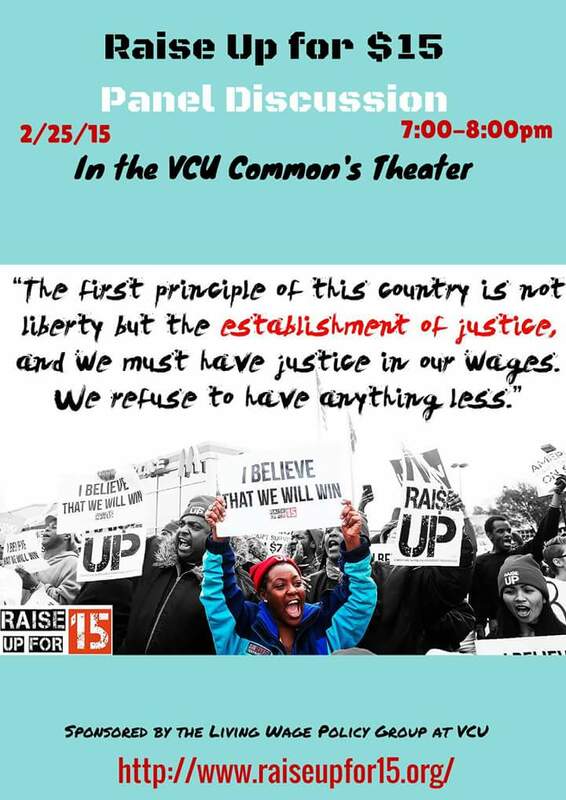 Justice RVA does not endorse this event. This is not to throw shade on any particular group as we appreciate all work for social justice, this is just our collective decision and the rationale is listed below. This meeting is not a community conversation, based on its very structure. There is no way for open discussion to happen at the Richmond Police Academy, because this is not neutral territory. People who are the most likely targets of police violence and harassment will never feel comfortable at the site where individuals are trained to work within the racist, ablest, and violent structures of modern day policing. The structure of a Q&A does not foster a conversation, especially because there is no time allotted for audience rebuttal to statements made by the police, but only an opportunity for police to take up media air time. There has been no public process offered to maintain accountability and to take the feedback from the meeting into quantifiable action. Accountability to the community is especially suspect in light of the restriction of cameras to record this event. If the Richmond Police and the City of Richmond really want to support the Richmond community, we need to see action on the demands Justice RVA publicly announced at the January 12th General City Council Meeting. The Richmond community’s demands have already been voiced. Putting forth this meeting is just another example of the failure of the Richmond Police to really hear the community they supposedly serve and protect. Specifically, Justice RVA has already voiced a grievance that the Richmond Police have failed to protect the Richmond LGBTQ community from discrimination and violence and know that the Richmond City Jail is the grounds of atrocious acts of violence against individuals incarcerated there. We demand that a more accessible citizen-watch board for the Richmond City Police and Richmond City Jail is implemented, that Richmond City provide more support for rehabilitation and restorative justice, and mass incarceration is finally ended. Saturday March 21st from 2:30 – 5pm come to the Wingnut at 2005 Barton Avenue for a $35 workshop on Lacto Fermentation. This is a fundraiser for Richmond Food Not Bombs. This event is a fundraiser for Richmond Food Not Bombs and the suggested donation is $35. You will be learning awesome skills from a talented teacher and supporting a local organization that works hard every week to stand against the war machine and bring healthy food to the community. Learn to make delicious lacto-fermented foods in this demonstration/hands-on workshop. Fermentation is a traditional way of food preparation and transformation that not only preserves the harvest but also yields greater nourishment, a healthier digestive system, and thus increased vitality. There will be a wide array of samples and you will leave with the skills and recipes to begin lacto-fermenting foods at home. Suzanna Stone is an herbalist in Scottsville VA. She founded Owlcraft Healing Ways where she offers clinical herbal consultations and teaches nine-month herbal apprenticeships and day classes in herbal medicine, traditional foodways, plant spirit medicine and drumming. She was raised in a home where herbs and whole foods were the foundations of health and has spent the last 15 years broadening that foundation and deepening her knowledge and understanding of the healing herbs. She serves as a guest lecturer at herbal schools and conferences throughout the East Coast. She lives on five acres of plant filled land with her artist/writer partner, their three children and various chickens, goats, cats and the canine herbalist Artemis. Save the date for the People’s Climate March on Monday February 23rd! There will be a day of activities and a march. Like No ACP on facebook or follow on twitter for updates and we will try to keep updates on the Wingnut page as well. Take a stand against fracking, the Atlantic Coast Pipeline, and many many other dangerous and climate damaging projects that folks like Dominion Power/Resources and other greedy jerks are pushing for. Renewable resources are what we need to create a healthy, sustainable environment for everyone in Virginia. The #blacklivesmatter demands to Richmond City Council pointed out important facts about the disproportionate rates of asthma in communities of color. And environmental racism and classism mean that the folks bearing the most negative weight from fossil fuels will be folks already dealing with the most oppression. Renewable resources could lead to greater self sufficiency, independence, and cheaper utilities for everyone in Virginia if done well. 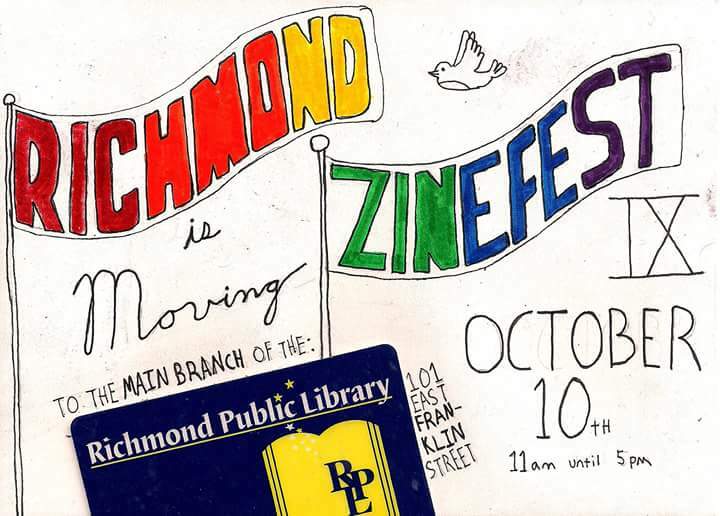 Stay tuned, Richmond is on the move this year and we are all a part of the intersectional movement to a better world.